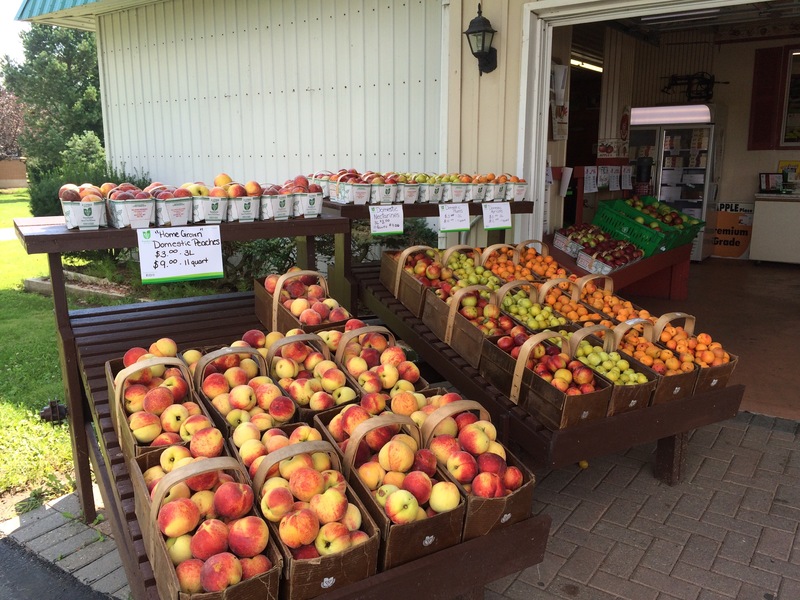 On my gourmet Southwestern Ontario trip this past weekend (one day to be a blog post, hopefully soon), we stopped at Delhaven Orchards in Blenheim, Ontario near Lake Erie. We were blessed with a $25 gift certificate, and honestly it was crazy how much fruit we had to buy to spend it! (Farmers stands and markets are where it’s at for buying fresh produce for cheap!). An 11-litre peach basket filled with “seconds” apricots (for $12 – no taxes ever on fresh fruit and veggies by the way in Canada) plus a whole bunch of apples, some peaches and plums (they are fully in season in Ontario right now so fill up your baskets and cars!). 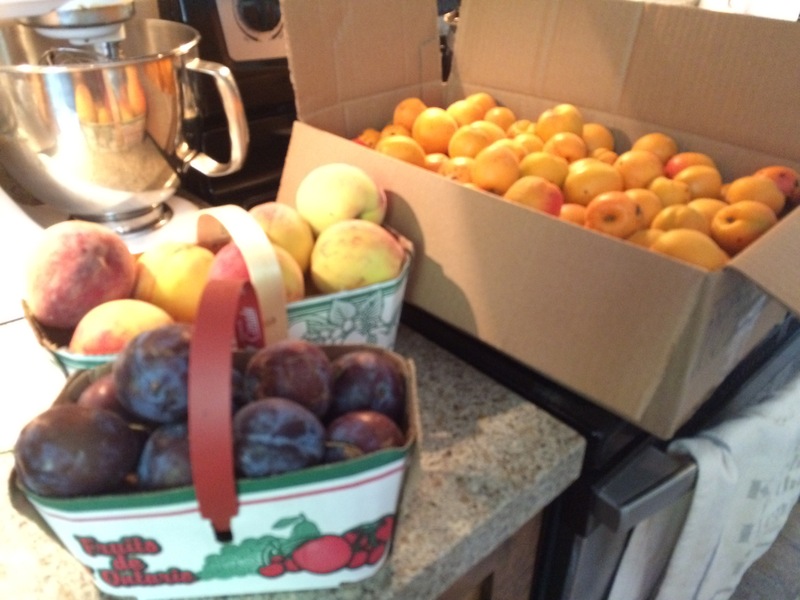 In comparison, “firsts” apricots were $4 or so for a quart (the average one pound countainer for strawberries). They are the fruit and veggies that don’t look “perfect” in our eyes – smaller, some marks, or even sometimes under-ripe or over-ripe. There are high standards for canning companies – so usually the biggest ones go to the processing facilities because they can get bigger slices (but then pack it in cans and lots of added sugar and “syrup” – always buy fresh if you can, or packed in water only). There is usually NOT bugs inside, and they can be SO much cheaper than “firsts”. Thirds exist too, but many are discarded or in a case like apples – might be made into a cidre or something that uses the fruit or vegetable but it is processed to a point so it doesn’t look physically like the same thing. It could still be a natural product, just perhaps not the full, whole food/fruit/veggie. So don’t forget to look for deals everywhere but don’t judge a fruit just by the outside. Even peaches don’t have to be red to be the sweetest and juiciest. That depends on each variety, just like apples! So enjoy seconds and thirds just like you would silver or bronze. Working hard for your money doesn’t mean you have to have the gold standard – you might just be paying for looks, not taste or nutrition. 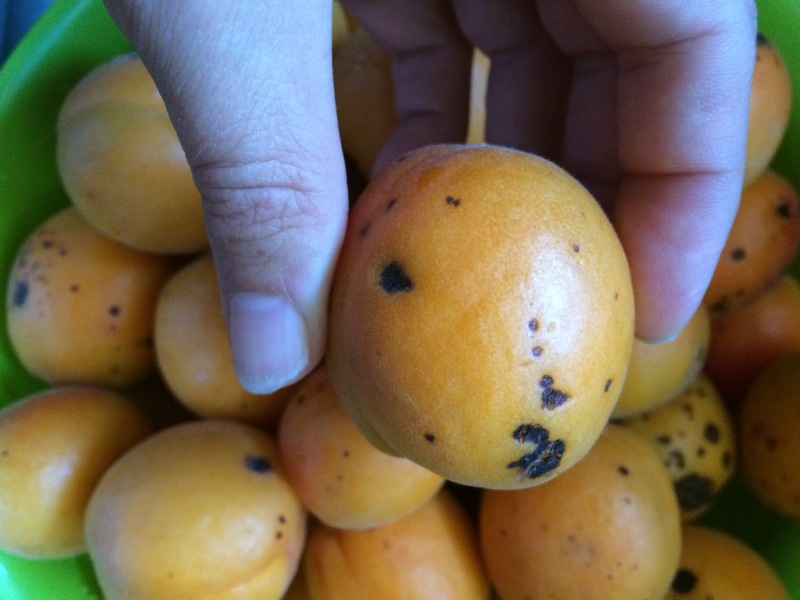 PS – Those eating solely organic know that imperfect and sometimes downright ugly still tastes good. Nature is not always perfect to us, but that’s because how we view things. Literally sometimes.